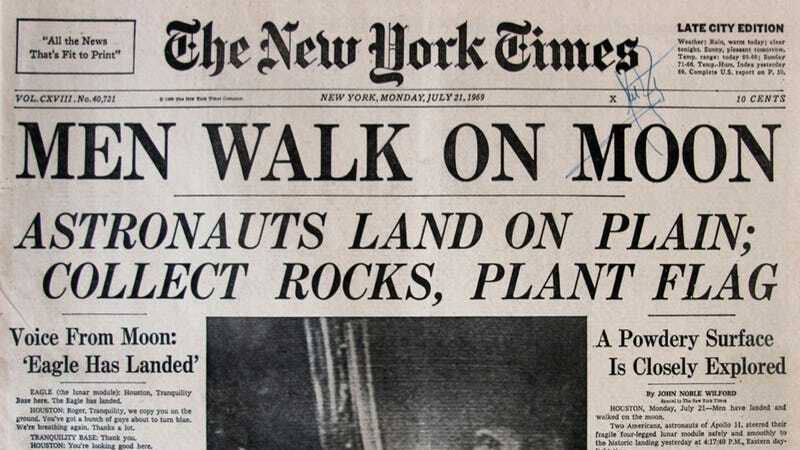 According to Florida Today, writers from AMC's hit period drama are working on a new TV series about America's 1960s space program and the journalists who covered it. The working title of the show is Cocoa Beach, named for the small Florida town that became a full-blown city after experiencing a 1000% population increase fueled largely by the U.S. space program. Located just 15 miles south of NASA's Kennedy Space Center, Cocoa Beach became a hotbed of economic, social, and technological activity as people swarmed to the city for jobs launched by America's burgeoning interest in space. Space Coast Film Commissioner Bonnie King tells Wired that the show is "far from a done deal;" but if it gets the greenlight, Cocoa Beach could begin airing as soon as this fall. Cocoa Beach Mayor Dave Netterstrom, for one, is excited at the prospect. To summarize Netterstrom's sentiments: Cool. Cool cool cool. All joking aside, we're pretty excited ourselves. Looking at vintage space exploration through the eyes of those who reported on it sounds like it would gel pretty perfectly with the formula that's made Mad Men such a success, even if recent attempts to mix mid-century drama with journalism (most notably BBC's The Hour) have failed to launch. Perhaps adding space exploration to the mix will give Cocoa Beach the kick it needs to achieve liftoff.